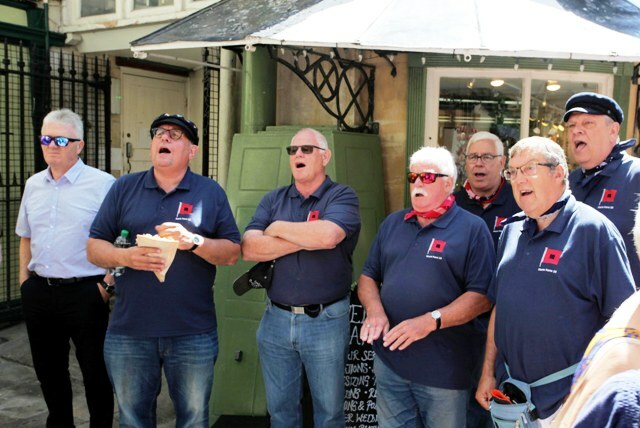 An iconic tavern in the heart of our city, within a stone’s throw of the ancient crossroads – Corn/Wine/High and Broad Streets, where Bristol’s High Cross once stood. 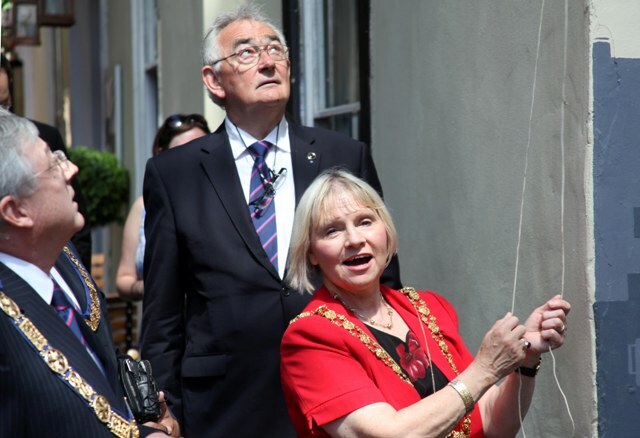 On 24th June, at the Rummer Inn in All Saints’ Lane, a plaque honouring an historic occasion was unveiled. 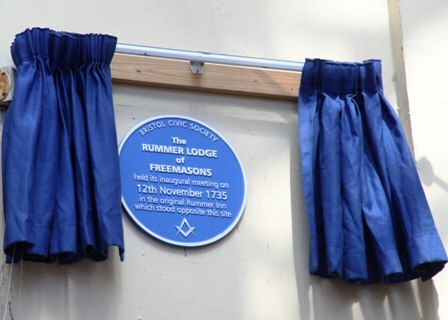 The inaugural meeting of Freemasons took place on 12th November 1735 in the older part of the Rummer Inn. In 1741 a comprehensive scheme to build the Corn Exchange was announced. The pub was partly rebuilt and redesigned by John Wood the Elder, the architect of the Exchange, in 1743. 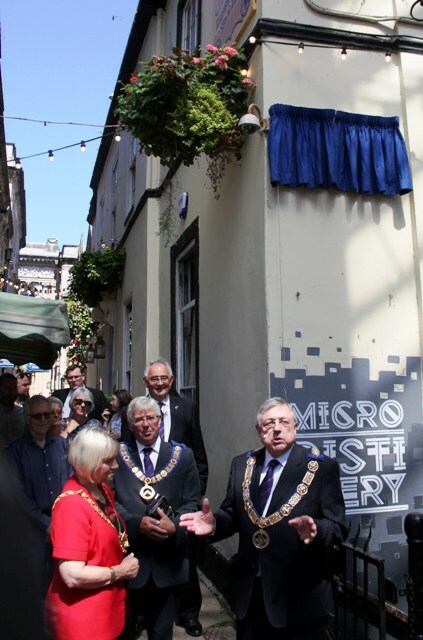 Its yard became part of a new thoroughfare, All Saints’ Lane. It is Wood’s façade, contemporary with the Exchange’s Palladian elevations, that we see today. Freemasons continued to hold meetings in the Rummer until 1812. This plaque is one of a series this year which will commemorate three hundred years of the United Grand Lodge of England. 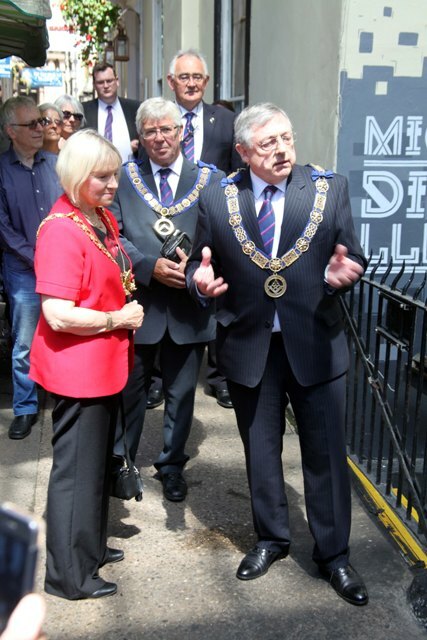 The unveiling group: Rt Honourable Lord Mayor Councillor Lesley Alexander, Deputy Provincial Grand Master Joe Davis and Provincial Grand Master Alan Vaughan.